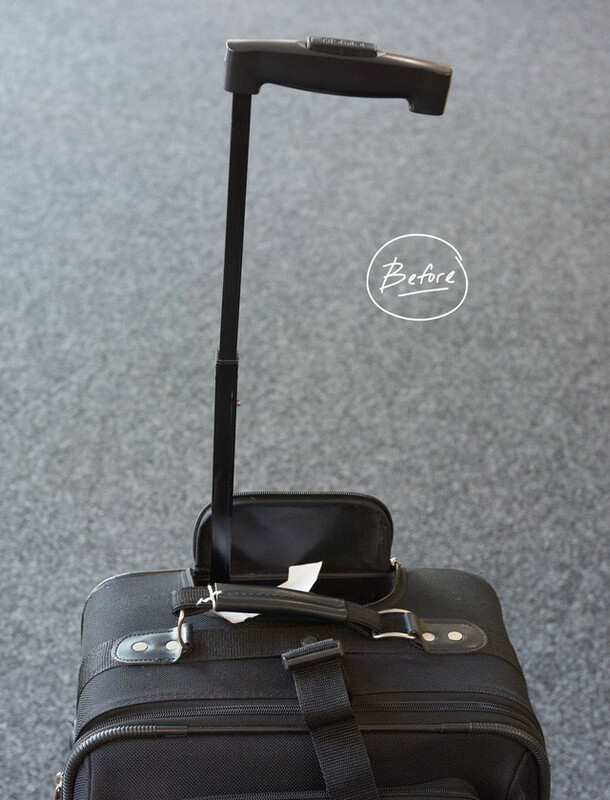 Take A Look at This Luggage Makeover! 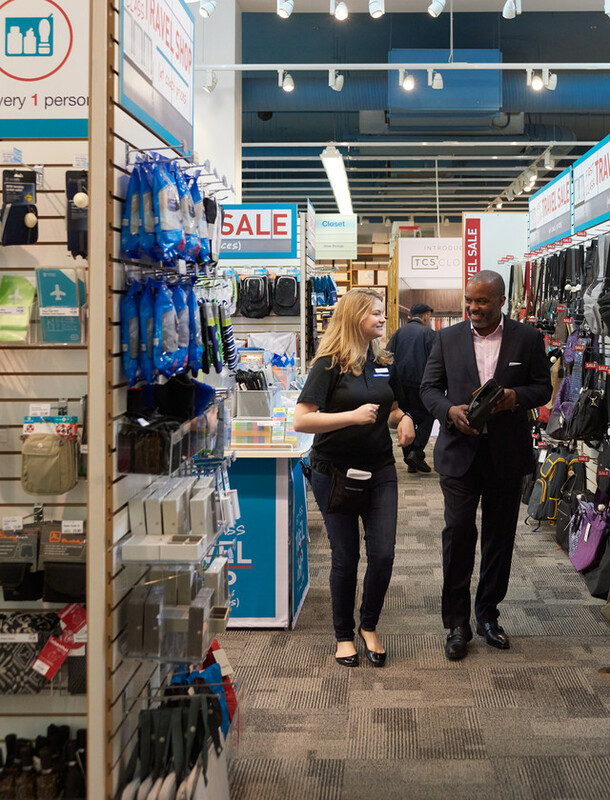 We come across a lot of road warriors as we help our customers get organized for their frequent travels. 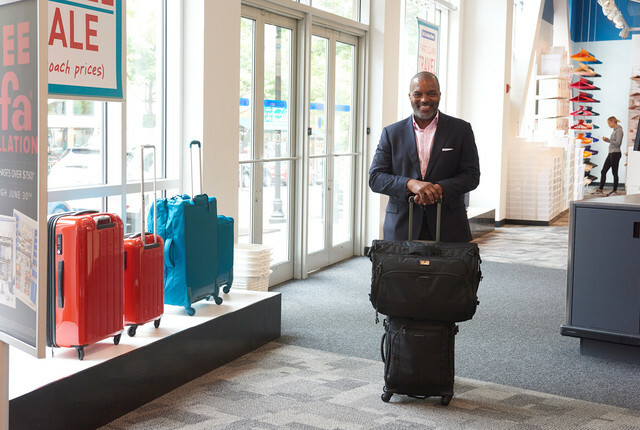 But when we began chatting with Jeff Cherry, CEO of Conscious Venture Lab®, we discovered that he was so busy traveling around helping businesses create cultures with social purpose at their core, he needed a bit of luggage makeover. 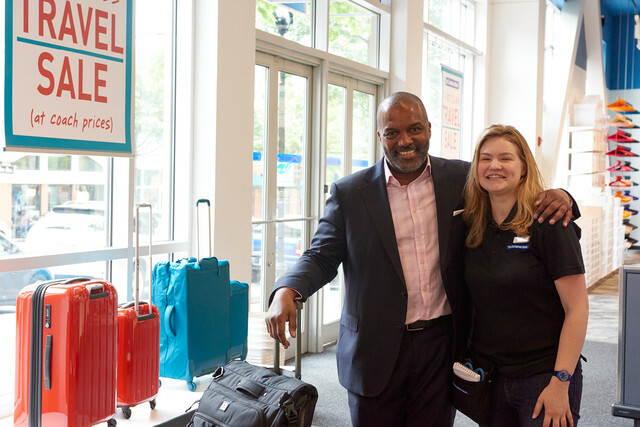 We teamed Jeff up with our fabulous salesperson and travel expert, Izzy Oldfield, from our Arlington, Virginia store, who had some helpful tips to make Jeff's travels more organized and stress-free. Jeff's luggage had seen better days. He frequently wheels his bag to the train station, and after looking at the broken handle on his bag, we can only imagine it was a bit of a struggle to navigate it. And when Izzy opened the luggage, to get a sense of how Jeff would typically pack for a trip, she saw a lot of opportunities to maximize the space inside so that he can not only fit more in, but also arrive to his destination wrinkle free. 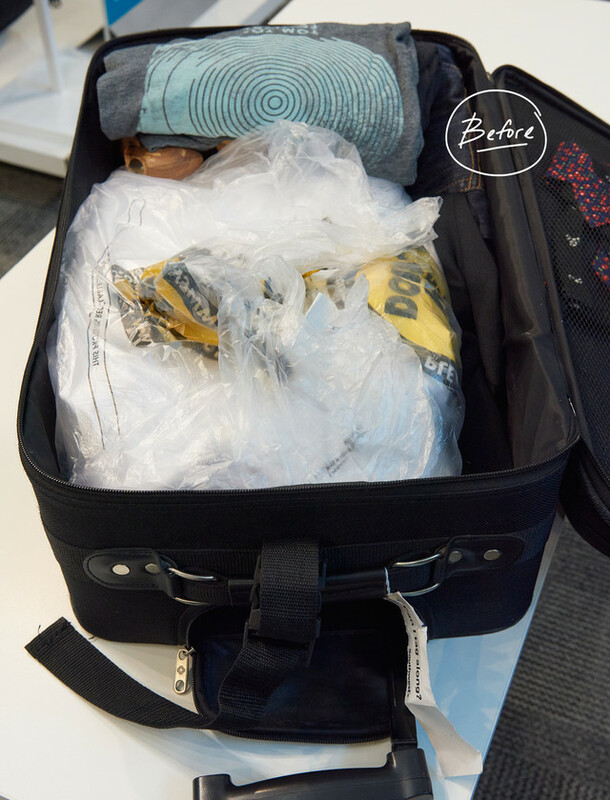 Jeff originally used dry cleaning bags to separate his outfits, which isn't the best solution for keeping your clothes compact and from sliding around in your bag - causing lots of wrinkles along the way. 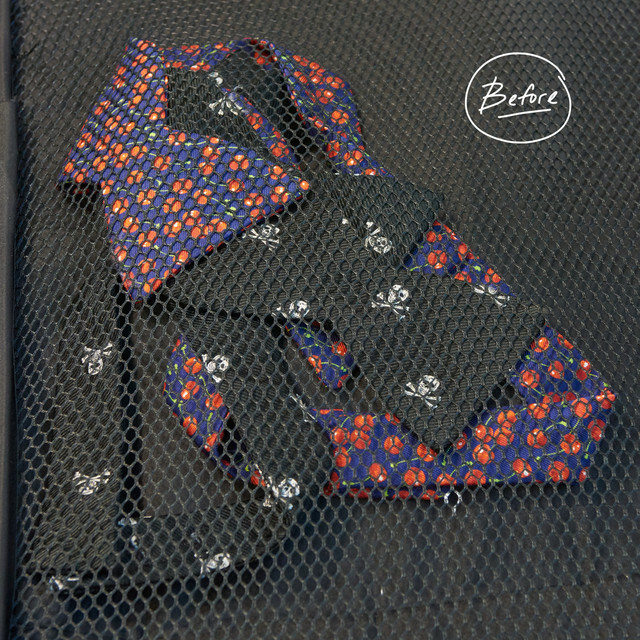 Jeff likes to mix up his tie game by adding a bow tie or two to his business attire, but when he packs them, they are a bit of a mixed up jumble. 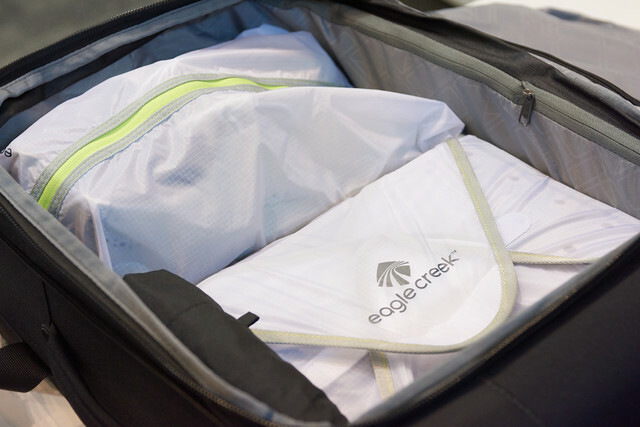 Izzy suggested the Eagle Creek Adventure Tri-Fold Garment Bag and the 4-Wheeled Eagle Creek Adventure Luggage to replace his broken two-wheeled bag. Four multi-directional spinner wheels will give Jeff effortless mobility. 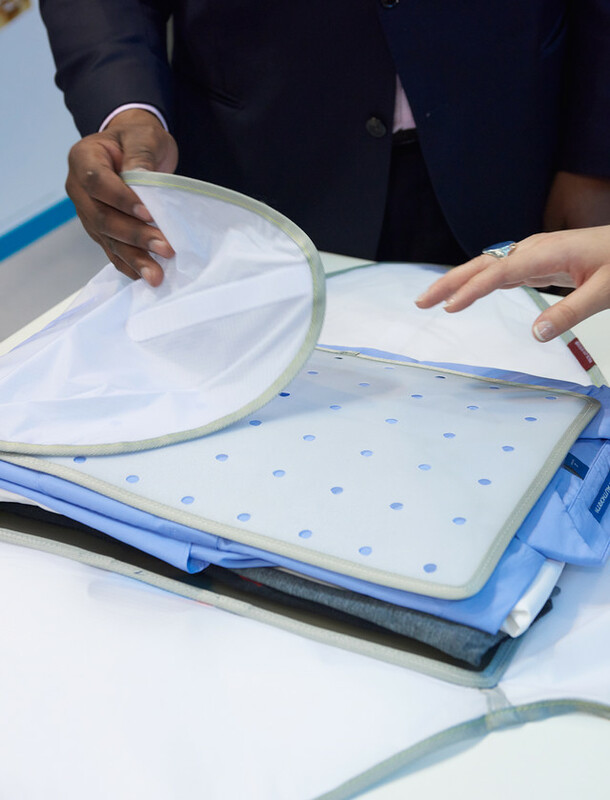 Additional features include an expandable main compartment for 15% more packing space and interior compression wings that secure and compress the contents. 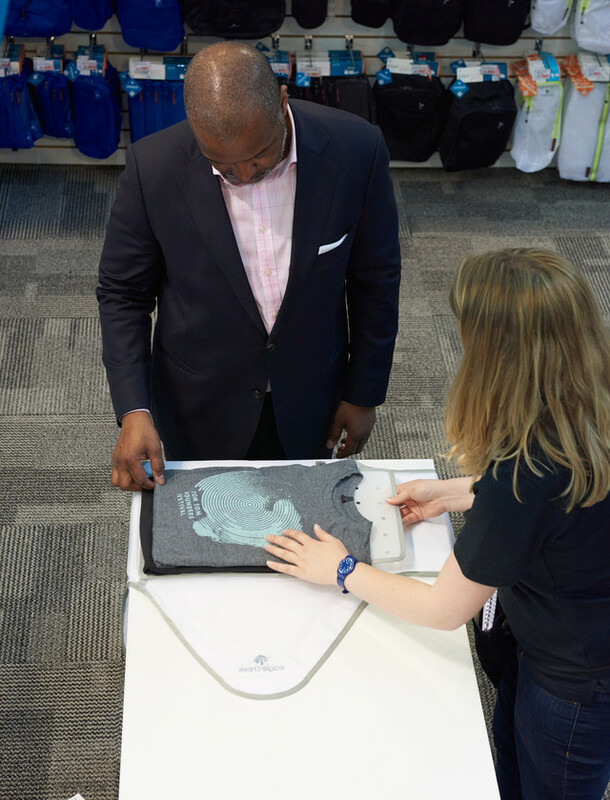 Izzy showed Jeff the roomy interior of the Garment Bag and the patented Wally Clamp that accommodates multiple hangers and helps keep suits, jackets and dresses from wrinkling. The tri-fold design saves space and features plenty of pockets to keep Jeff organized. 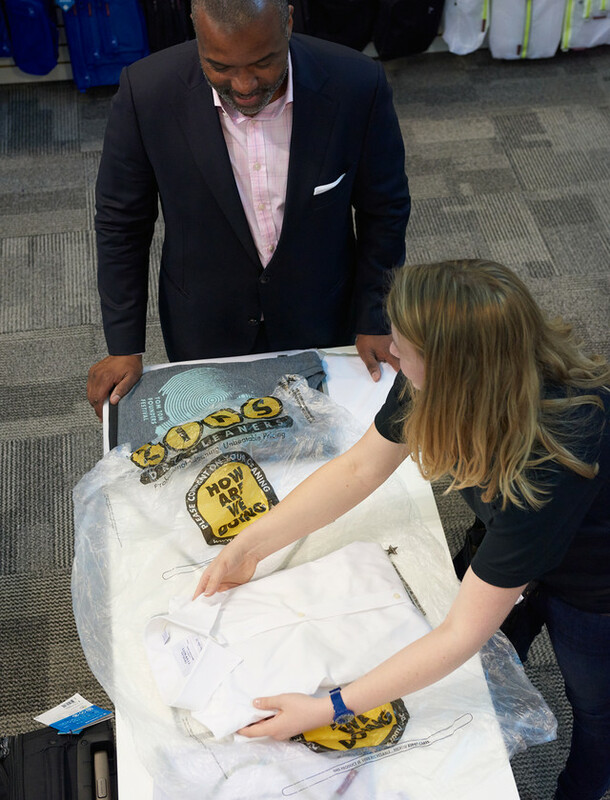 Izzy then showed Jeff how he can ditch those plastic dry cleaning bags for a better packing system. She gave him a quick packing demonstration using the Small Eagle Creek Translucent Specter Pack-It Folder. 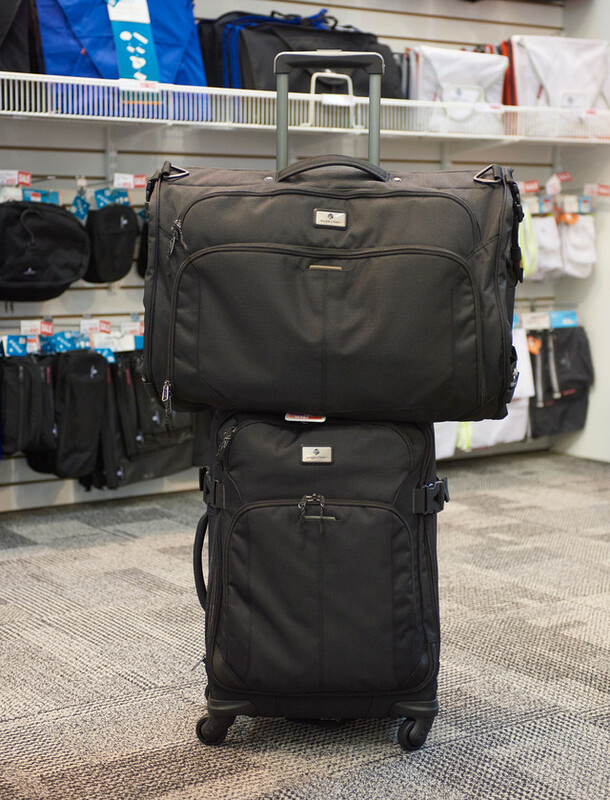 It's essential for organized travel, keeping everything from suits to shirts neatly folded, compact and wrinkle-free. Made from a material similar to parachutes, it's 50% lighter than our original Eagle Creek Pack-It System. Each folder includes a special, lightweight folding board with folding and packing instructions so that Jeff can remember Izzy's techniques when he gets home. The small folder will hold 6-8 men's dress shirts. 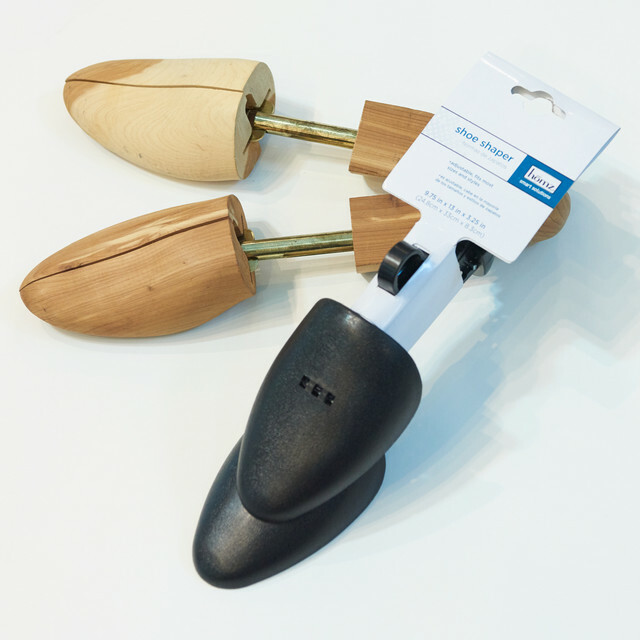 Izzy suggested that Jeff keep his heavier cedar shoe trees at home and use our Shoe Shapes that provide practical care for Jeff's shoes by helping them retain their shape when he's not wearing them. They are made of an extremely sturdy plastic that is light enough to avoid weighing down his luggage. 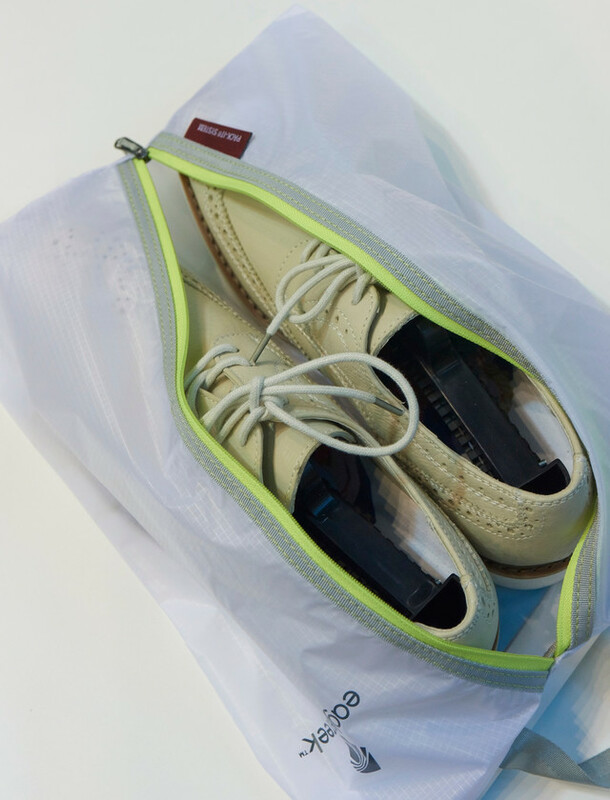 Then, she suggested the Eagle Creek Translucent Specter Pack-It Shoe Sac to protect Jeff's shoes from scuffs and nicks while protecting his clothes and other items from polish and dirt. Look at how beautifully the system works together in Jeff's bag. And he still has a ton of room left! 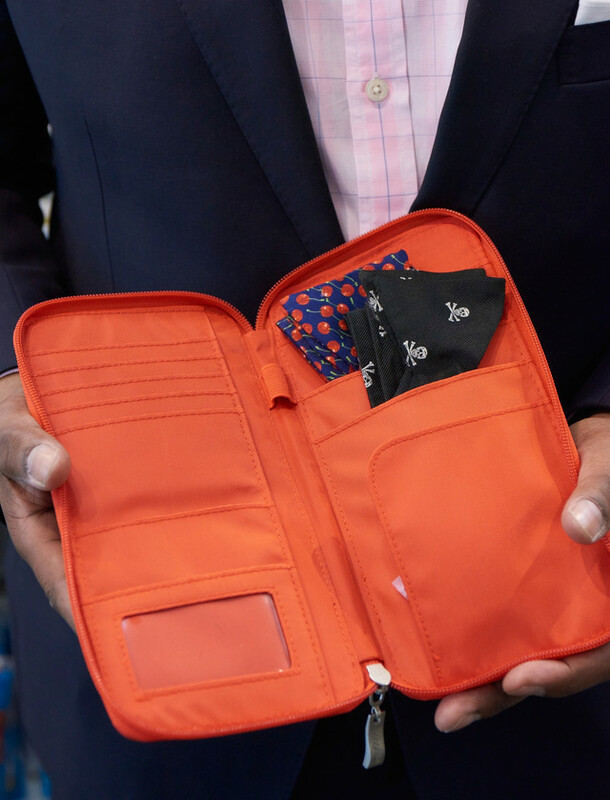 Those dapper bow ties are now contained in the multifunctional baggallini RFID-Blocking Ticket Organizer. 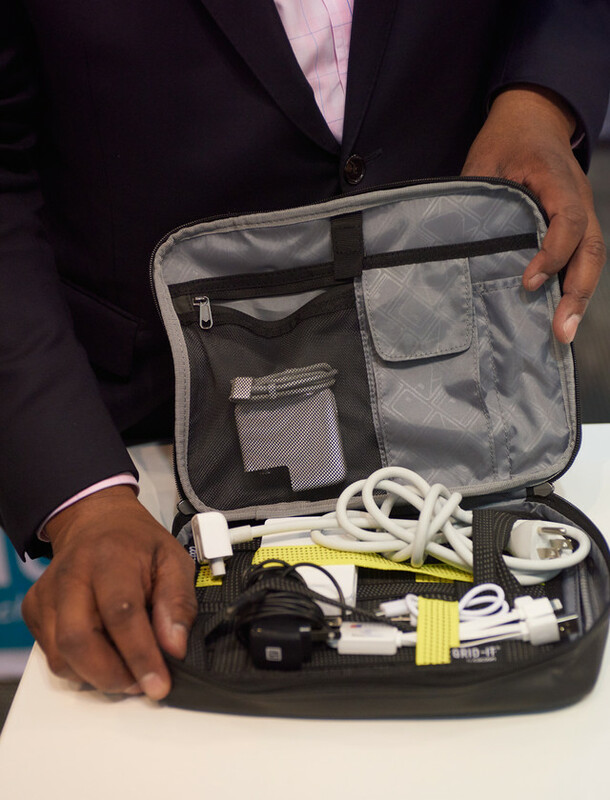 This slim organizer offers stylish security while you travel. Not only does it protect your passport and boarding passes, but it also secures credit cards and personal information inside its RFID-blocking liner. An exterior zippered pocket offers even more space for currency, coins, phone or earbuds. With a zippered closure, this is everything you need to breeze through security lines, then zip-off to your destination. 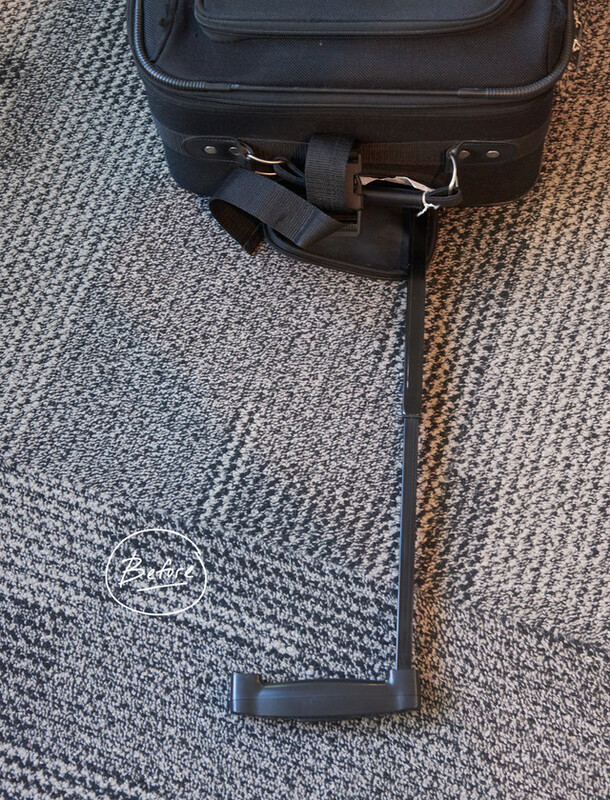 Jeff loved the modern twist on the basket-weave design of our Travel GRID-IT! 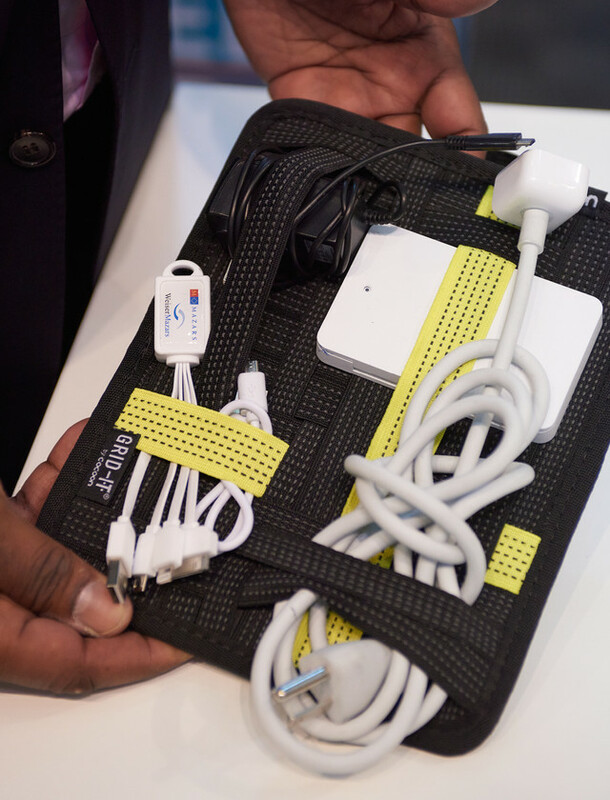 Organizer, which features a multitude of elastic straps to keep his cords and other electronic items in place. Jeff will be able to arrange his items in an endless number of configurations! Izzy placed the Grid-It into the Eagle Creek eTools Organizer Pro, which is great for the rest of Jeff's electronics accessories. A gusseted front pocket accommodates bulky items and inside the main compartment, there's a space for nearly everything else with mesh pockets, padded pockets, loops for pens or earbuds and a document sleeve with hook and loop closure. 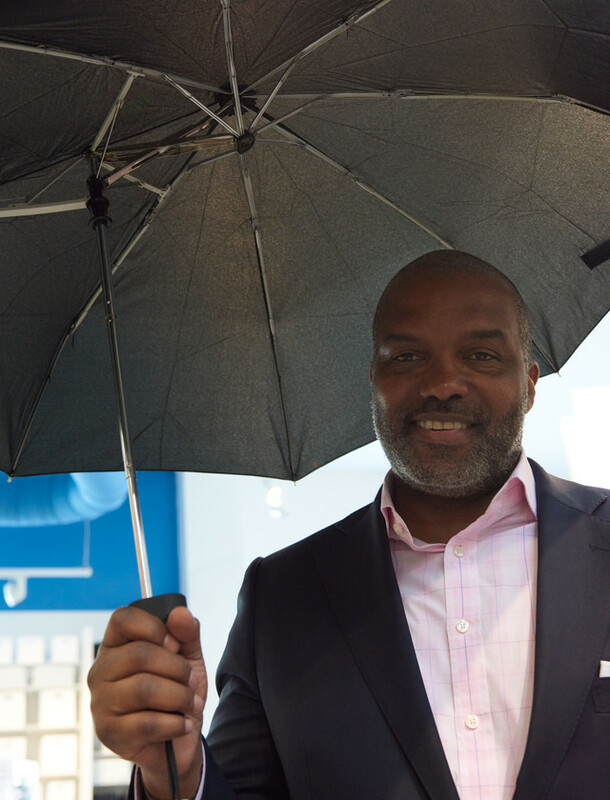 Izzy topped Jeff's travel makeover off with a must have - our Smart Umbrella! The ingenious design of the umbrella positions the pole on the side and a larger, elliptical canopy, there's more dry space for Jeff - without having to peer around the pole when walking. When Jeff's not using it, it will collapse to a compact size that's easy to slide into bags and totes. Looking good Jeff, and great job Izzy! That's a travel makeover that's going to make Jeff's life on the road much better! For more inspiring travel ideas take a look at our Travel shop.